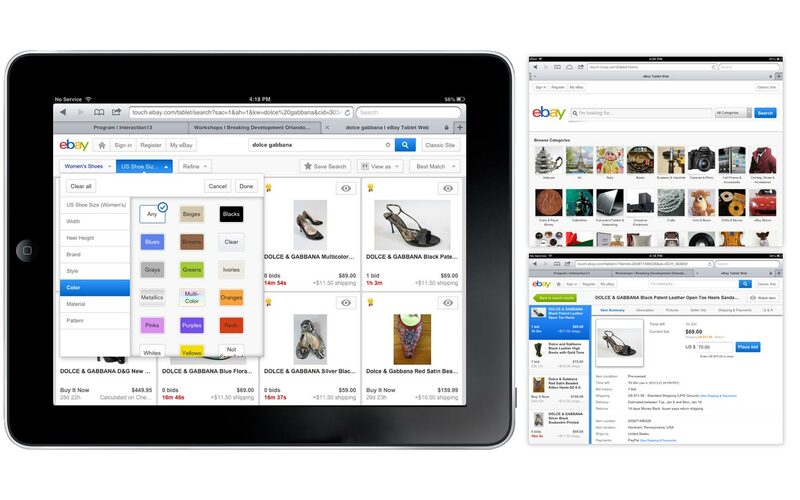 eBay’s tablet web site, touch.ebay.com, provides a touch-optimized experience for those visiting eBay.com on tablets. Search results, navigation, and item information are presented in a more visual, gesture-oriented way to truly leverage the context of tablet usage. I worked with the product team after its initial launch to identify and redesign key areas of friction, and also design new elements such as exposing detailed search refinements (clothing sizes, brands, and more). To identify areas of friction, I synthesized previous research and conducted a heuristic review. 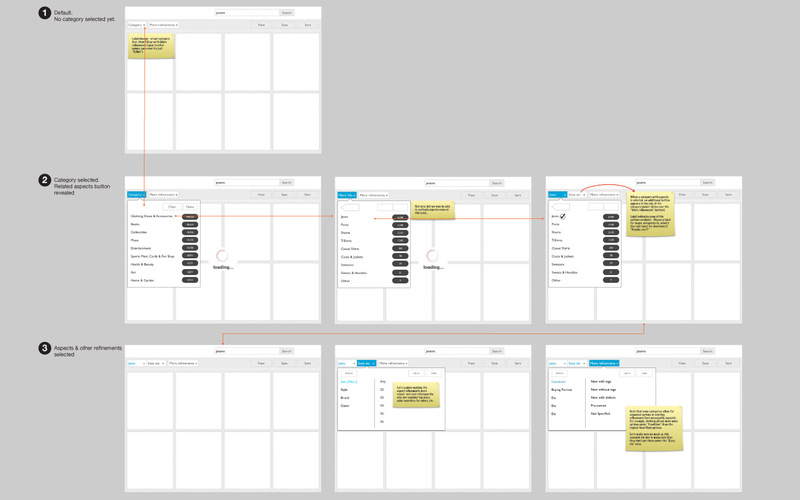 After using prototypes to propose a redesign, we conducted lab usability studies. 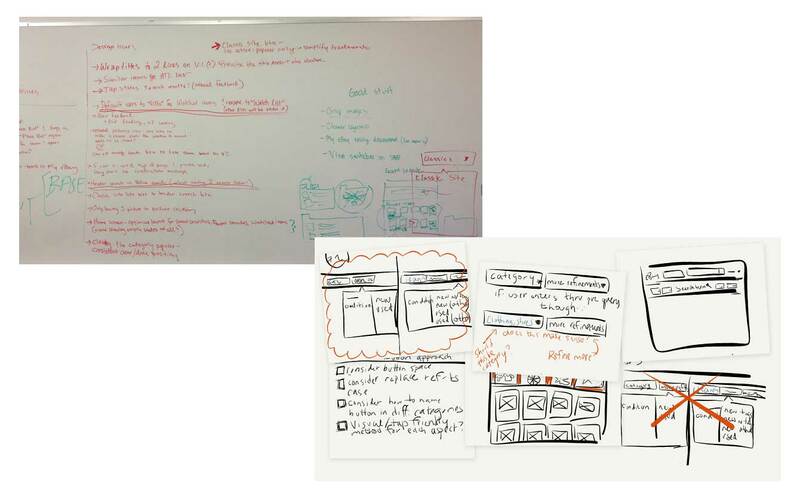 I engaged the team with affinity whiteboarding so that we could quickly iterate on the designs. With this process we were able to improve our home screen, search results screen, item details screen and keyword search scenarios in less than a month. 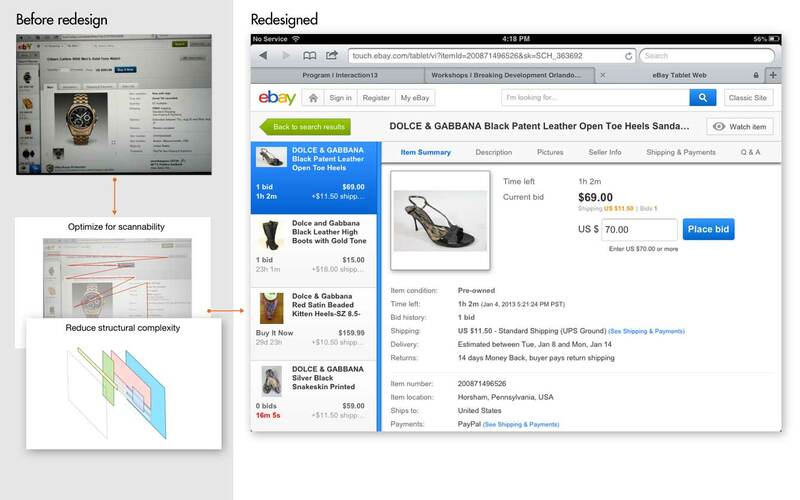 Separately, I developed wireframes, flows and worked with a visual designer to add detailed search refinements for increased customer engagement within search.